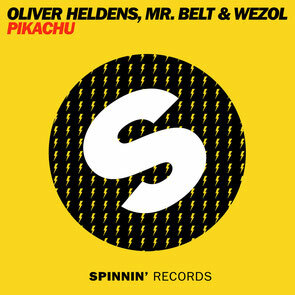 Oliver Heldens recently released the preview of his new collaboration with Mr. Belt & Wezol named ‘Pikachu’, which is due out on Monday 3 November on Spinnin' Records. After a big summer season delivering his style to festival crowds everywhere, Oliver continues to showcase his evolving talent and has now attracted the likes of Tiesto and Headhunterz for forthcoming collaborations. Joining up with fellow Dutchmen, Mr. Belt & Wezol, the trio hatch an energetic, funky original intertwined with samples of the recognisable voice from the yellow Pokemon, Pikachu. Although the Northern hemisphere festival season is at a close, Oliver has demonstrated that he definitely has more in the tank and fans should expect more releases to come. Check it out below.